The Product name is beautiful color painted clay pot and own creation design by Ko Hla Myo (Shwe Bo). Shwe Bo is a famous place for production natural clay pot in Myanmar. All of our products are only handmade craft , so our leave time during is between 30 Days and 45 Days. Firstly knead the clay after that slice and create the bottom for pots. Smooth out the inside and outside of the pot, as pot design and spinning mass the middle of pot push by thumb and push 4 fingers into the whole and work them around until the hole is as big as we would like and then push the pot and made finish. If you want to more details , you can ask and leave massage by chat box. The Product name is beautiful color painted clay pot and own creation design by Ko Hla Myo (Shwe Bo). All of our products are only handmade craft , so our leave time during is between 30 Days and 45 Days. Firstly knead the clay after that slice and create the bottom for pots. Smooth out the inside and outside of the pot, as pot design and spinning mass the middle of pot push by thumb and push 4 fingers into the whole and work them around until the hole is as big as we would like and then push the pot and made finish. If you want to more details , you can ask and leave massage by chat box. 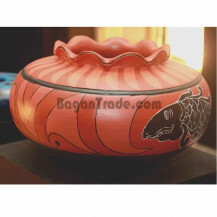 <br /> The Product name is Two Layer clay pot and own creation design by Ko Hla Myo (Shwe Bo). Shwe Bo is a famous place for production natural clay pot in Myanmar. All of our products are only handmade craft , so our leave time during is between 30 Days and 45 Days. Firstly knead the clay after that slice and create the bottom for pots. Smooth out the inside and outside of the pot, as pot design and spinning mass the middle of pot push by thumb and push 4 fingers into the whole and work them around until the hole is as big as we would like and then push the pot and made finish. If you want to more details , you can ask and leave massage by chat box. 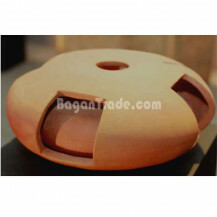 The Product name is Handmade Flat Clay Pot and own creation design by Ko Hla Myo (Shwe Bo). Shwe Bo is a famous place for production natural clay pot in Myanmar. All of our products are only handmade craft , so our leave time during is between 30 Days and 45 Days. Firstly knead the clay after that slice and create the bottom for pots. Smooth out the inside and outside of the pot, as pot design and spinning mass the middle of pot push by thumb and push 4 fingers into the whole and work them around until the hole is as big as we would like and then push the pot and made finish. If you want to more details , you can ask and leave massage by chat box. The Product name is Handmade Design Craft and own creation design by Ko Hla Myo (Shwe Bo). Shwe Bo is a famous place for production natural clay pot in Myanmar. All of our products are only handmade craft , so our leave time during is between 30 Days and 45 Days. If you want to more details , you can ask and leave massage by chat box. This is about hand-made lacquer pot and created with innovative and modern Handicraft design in the region of Bagan in Myanmar. The body of this pot is black color background by hand color painted. It is embroidery with lacquer pot and is decorated bejwewlled hand-craft. We accept customize size and, priced at depending on size. 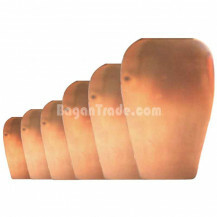 It is used anywhere in requirement and suitable to give as souvenir. High quality, more size and best price for choice, if you are interested in our products, please feel free to contact us. 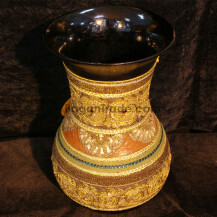 The title of this product is Gold color Water Pot Design in Handmade Lacquer Pot and the region of Bagan in Myanmar. 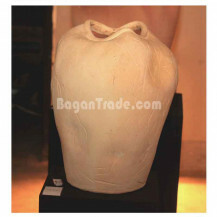 This product created with innovative and modern Handicraft design that is decorative by Antique Style. It is embroidery with lacquer pot and is decorated bejwewlled hand-craft. 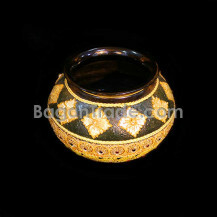 The body of this pot is gold color background by hand color painted. We accept customize size and, priced at depending on size. It is used anywhere in requirement and suitable to give as souvenir. High quality, more size and best price for choice, if you are interested in our products, please feel free to contact us. Hand-color painted handmade lacquer pot created with innovative and modern design in the region of Bagan in Myanmar. 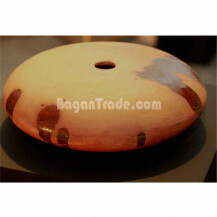 The body of this pot is orange color background by hand color painted. It is embroidery with lacquer pot and is decorated bejwewlled hand-craft. We accept customize size and, priced at depending on size. 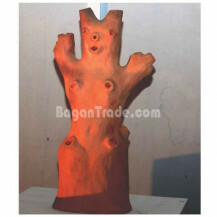 It is used anywhere in requirement and suitable to give as souvenir. High quality, more size and best price for choice, if you are interested in our products, please feel free to contact us. 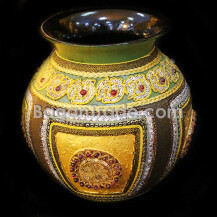 The body of this vase is gold color background by hand color painted. 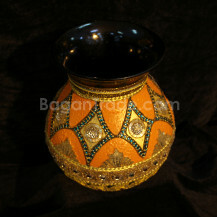 This is about Lacquer Water Vase created with innovative and modern Handicraft design in the region of Bagan in Myanmar. 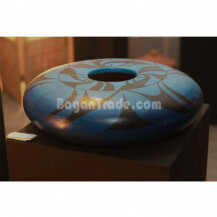 It is wave design of embroidery with lacquer water vase and is decorated bejwewlled hand-craft. The raw material is only natural and 100 percentage of handmade. We accept customize size and, priced at depending on size. It is used anywhere in requirement and suitable to give as souvenir. High quality, more size and best price for choice, if you are interested in our products, please feel free to contact us. 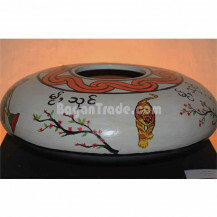 Antique Design Big Lacquer Vase created with innovative and modern design in the region of Bagan in Myanmar. The raw material are only natural and 100% handmade. 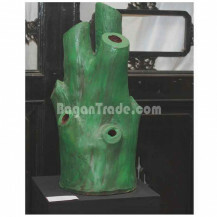 The body of this pot is dark green color background by hand color painted. 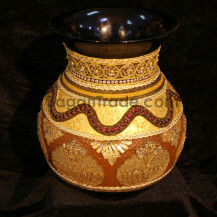 It is embroidery with lacquer vase and is decorated bejwewlled hand-craft. We accept customize size and, priced at depending on size. It is used anywhere in requirement and suitable to give as souvenir. High quality, more size and best price for choice, if you are interested in our products, please feel free to contact us. This is about hand-made Gold Embroidery with Lacquer Vase created with innovative and modern Handicraft design in the region of Bagan in Myanmar. 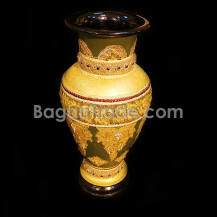 The body of this vase is gold color background by hand color painted. It is embroidery with lacquer vase and is decorated bejwewlled hand-craft. This product not only made of only natural but also 100% handmade. We accept customize size, color and priced at depending on size. It is used anywhere in requirement and suitable to give as souvenir. High quality, more size and best price for choice, if you are interested in our products, please feel free to contact us. The body of this pot is green color background by hand color painted. This is about Handmade Lacquer Pot created with innovative and modern Handicraft design in the region of Bagan in Myanmar. 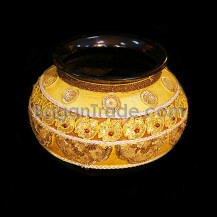 It is flower pattern of embroidery with lacquer pot and is decorated bejwewlled hand-craft. The raw material is only natural and 100 percentage of handmade. We accept customize size and, priced at depending on size. It is used anywhere in requirement and suitable to give as souvenir. High quality, more size and best price for choice, if you are interested in our products, please feel free to contact us.